Studies show that treatment by Family Physicians results in quality of care equal to sub-specialty care, high patient satisfaction and more effective use of hospitals, testing, procedures, and technology. ◦ Family Physicians care for people of both genders and all ages. They diagnose and treat 90% of all patient problems. ◦ Family Physicians work closely with other sub-specialties to coordinate care for special and/or complicated problems. ◦ Family Physicians treat conditions of all organ systems rather than limiting their practice to a specific organ system. ◦ Family Physicians treat the whole patient, taking into account all medical, social, and mental health concerns of the individual. ◦ Family Physicians practice disease prevention and health maintenance in addition to treating illness. How far in advance should I call to make an appointment? Our trained office staff of secretaries and medical assistants schedule patients approximately two weeks in advance. If there is a special need, make sure to alert our office staff. We will make every effort to accommodate your request. Same day and late appointments are available on special request for established patients. How do I cancel appointments? In order to ensure needed medical care and appropriate follow up, it is important to keep any scheduled appointment with your provider. However, with busy lives and schedules, we understand that cancellations will happen. We kindly ask for 24 hours notice for any cancellations. 24 hours will be enough time for a patient needing care to fill that time slot. There is a $30.00 No Show Fee assessed to patients that have not given appropriate notice. There is a $60.00 No Show Fee assessed to patients who have not given proper notice for any appointment given extra time slots (including but not limited to procedures or physicals). As a courtesy, we will place a phone call reminding the patient of the appointment 24 hours in advance. In case of emergency, call 911. A doctor is on call after office hours, during weekends, and on holidays. We ask that you limit these calls. ◦ To reach the doctor, call (989)-463-1101 and request the doctor on call to be paged. ◦ Please note, medications will not be refilled by the on-call doctor. ◦ For severe situations, go immediately to the nearest Emergency Room and have your doctor contacted! What if I am admitted to the hospital? Dr. Mohan works closely with the hospitalist at the local hospitals to provide continuation of care. Soon after your discharge, you will need to follow up at the clinic. Please feel comfortable calling us if you need any help. 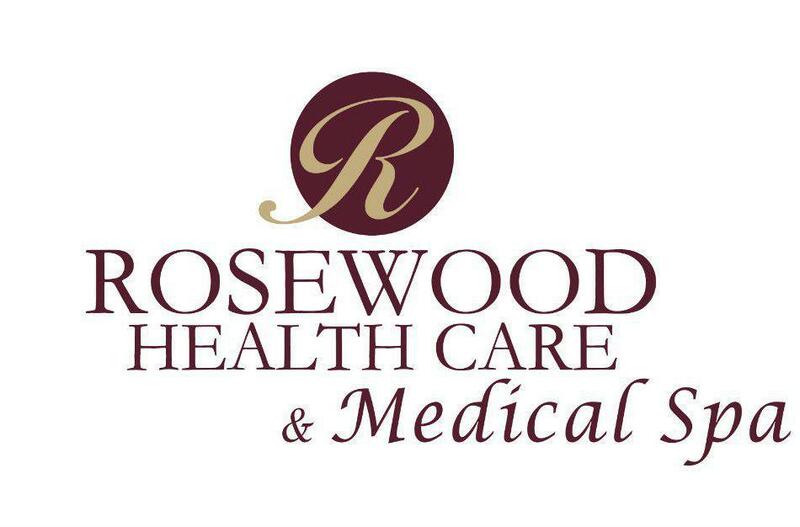 Rosewood Health Care is always accepting new patients!! The process of becoming a new patient is very easy and can be completed in a few simple steps. Please contact the office directly and the front office staff will gladly take your information by phone. After collecting a little information, we will then make you a new patient evaluation appointment. This appointment typically runs about a half hour. We will need you to register with the practice, prior to your new patient evaluation. This may be accomplished one of two ways: you may register with our practice electronically using our website. On the main page of our website is a tab that reads “Patient Portal”. Click on that tab and it will re-direct you to a page with a blue link. Click on the blue link. You will then be re-directed to a new page with a “User Name” & “Password” box on the left hand side of the screen. Underneath those boxes is the word “Register”, which is colored red. Click on that, follow a few simple instructions, and at that point you will have a user name and password to log in to your Electronic Medical Record (EMR). Anything we would ask you to fill out on paper in the office, you can now fill out online! If you don’t have access to the internet, that is ok – we have all the forms available for you to fill out at the practice. We just ask that you arrive 30 minutes prior to your appointment to fill out the paperwork. Alternatively, the aforementioned forms can be printed out from your home and brought to the office on the day of your appointment. Please don’t hesitate to call if you have any questions! What do I need to bring with me to my New Patient appointment? On the day of your appointment, please bring your completed forms, insurance card(s), state issued identification (driver’s license or identification card), and a list of your current medications (including any over-the-counter, multi-vitamins or herbal supplements). If you do not see your insurance carrier listed – please contact our office. Accepted insurances are subject to change without notice. When do I make my co-payment and what forms of payment are accepted? Co-payments are collected at the time of service. Our front office staff can collect your co-payment before your appointment or upon check-out. The front office staff can also assist you with checking your account balance and taking payments on your account. Accepted forms of payment include: Cash, Checks, and Credit/Debit Cards. Can I have medical forms written? Our practice receives many requests to complete various patient forms such as insurance, disability, FMLA, and handicapped parking. Completion of these forms requires medical expertise and review of medical record documentation. For this reason, a fee based on complexity and length of the forms will be collected prior to releasing the form. It is the patient’s responsibility to complete their portion of the form and submit it to the requesting party. Please allow up to 10 to 14 days for processing. I need an allergy injection, do I need to make an appointment? You will never need to schedule an appointment for allergy injection, b-12 injection or stitch removal. Simply call the office and we can let you know if there will be a wait involved or just come in and we can put you in the schedule based on your convenience. I woke up feeling terrible this morning; can I get an appointment soon? Appointments of an acute or urgent nature are taken very seriously by our staff. In most instances, we have the flexibility to schedule you on the same day that you call. If we are not able to see you the same day that you call, you will be seen the next business day. There are and never will be 2 week waiting periods to see providers at Rosewood Health Care. A standard 12 lead EKG is available if indicated. An EKG may be of benefit in patients with hypertension, diabetes, hypercholesterolemia, or as part of a diagnostic work-up for other medical illnesses, availability to be determined by your doctor. On site echocardiogram testing is available. An echo is a non-invasive diagnostic test that uses sound waves to create pictures of the heart and its related anatomy. Your doctor may order this exam to evaluate current hypertensive therapy, identify causes of abnormal heart sounds, shortness of breath, irregular heartbeats, measure the size and shape of the heart’s chambers, or check the ability of your heart to effectively pump blood. Pulmonary function testing can give measurements as to how well a patient’s lungs are functioning. Through a device called a spirometer, your doctor can provide you with valuable information on measured lung capacity and how fast air can be expelled from the lungs. These tests are often ordered to diagnose asthma, COPD, or help in the work-up of unexplained cough or shortness of breath. The test is simple, non-invasive and can be done at the time of your appointment. The results are generated within minutes upon completion of the test and can be reviewed with you by your doctor. PAD (peripheral artery disease) is a condition which results in a decrease in blood flow or circulation in the arteries outside the brain or the heart. It is very similar to coronary artery or carotid artery disease. In fact, people with PAD often have known or unknown disease of the heart and/or the brain. This association may pose a higher risk of death from heart attack or stroke. As many as 8 to 12 million Americans have PAD, and 75% of those do not have symptoms or recognize the symptoms. Risk factors for PAD include: diabetes mellitus, elevated cholesterol, metabolic syndrome, smoking, age or 50, and family history of heart disease or stroke. Ask your doctor if this screening exam may be right for you, or report any symptoms of pain, numbness, tiredness, heaviness, or cramping in the hips or legs with activity that goes away with a period of rest. An endometrial biopsy is a way for your doctor to take a small sample of the lining of the uterus (endometrium). The sample is looked at under a microscope for abnormal cells. An endometrial biopsy helps your doctor find problems in the endometrium. It also lets your doctor check to see if your body’s hormone levels that affect the endometrium are in balance. Colposcopy is a procedure usually done after an abnormal pap smear. It allows your doctor to get a good look at what’s going on among your cervical cells. It involves using a colposcope, an instrument that magnifies the area 10 to 20 times, and a staining solution, which makes it easier to distinguish between the healthy, normal cells and the atypical cells. If any questionable areas of atypical growth are obvious, they can be biopsied in order to determine the extent of the problem, and to decide on a course of treatment. Several different methods may be used to obtain a skin sample, depending on the size and location of the abnormal area of skin, called a skin lesion. The skin sample is placed in a solution, in a sterile container then examined under a microscope. Skin biopsies most often are done to diagnose skin cancer, which may be suspected when an abnormal area of skin has changed color, shape, size, or appearance or has not healed after an injury. Skin cancers are the most common type of cancers. Early diagnosis of a suspicious skin lesion and skin biopsy can help identify skin cancers and lead to early treatment.